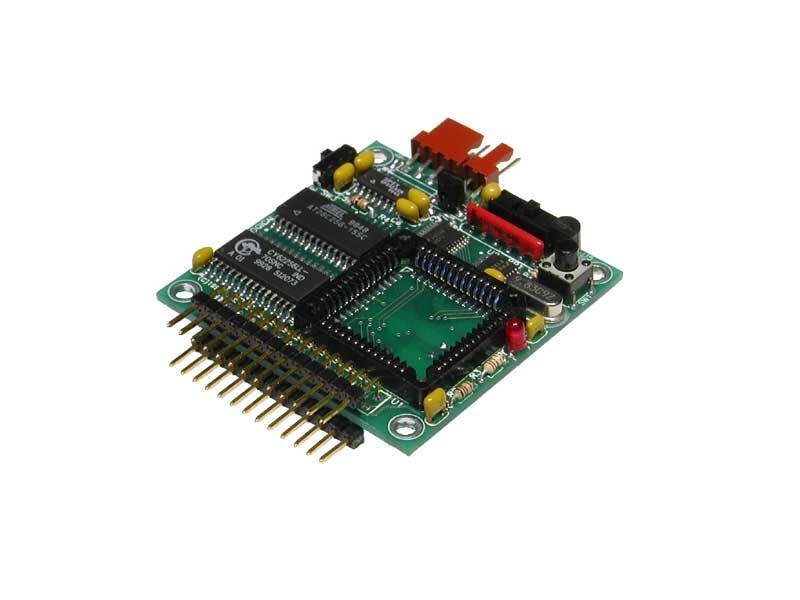 Originally designed for the popular Micro Mouse annual robot competition, MicroCore-11 is a compact low-cost 68HC11 module with generous amounts of memory and a moderate number of I/O lines, which includes 8 analog inputs. 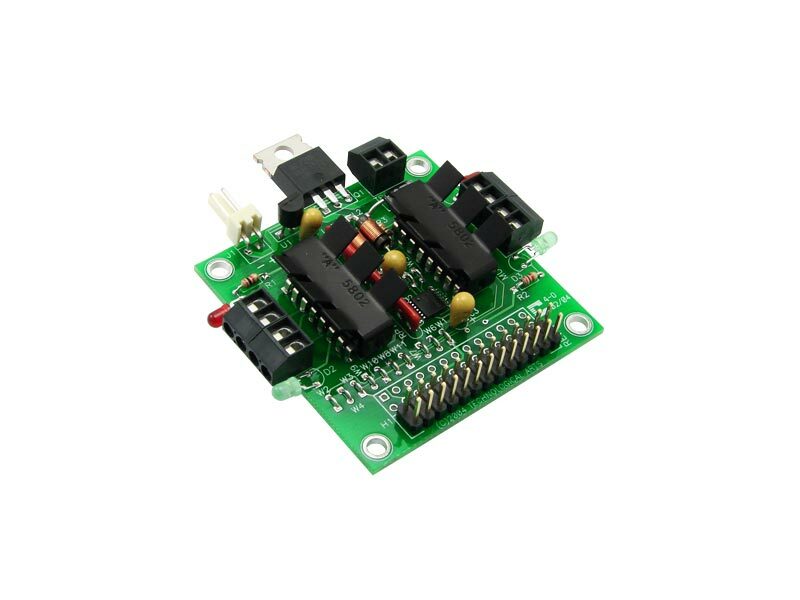 The MCU runs in expanded mode, and external RAM, EEPROM and interface circuitry is included on-board. Combined with the powerful on-chip hardware subsytems of the 68HC11 a lot of features are packed into a 2-inch square board! The modular design is offered with a broad choice of connector options, for the most flexibility. 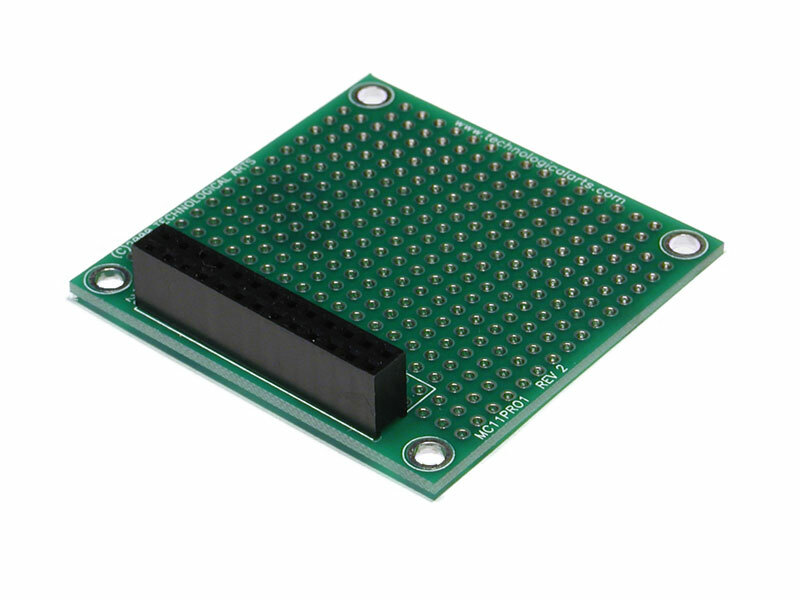 Probably the most popular connector option is SB, which allows the module to plug vertically into any common solderless breadboard-- just like a DIP chip. A free Windows-based loader called MicroLoad is used to load your programs into the memory, and the board is compatible with virtually all 68HC11 development tools. We recommend MiniIDE for assembly programming, the Controlord BASIC11 compiler for BASIC, or ImageCraft ICC11 for C programming. Stanford University Introduction to Mechatronics Includes many C examples. Plug two MicroCore-11 form-factor cards together into a solderless breadboard. 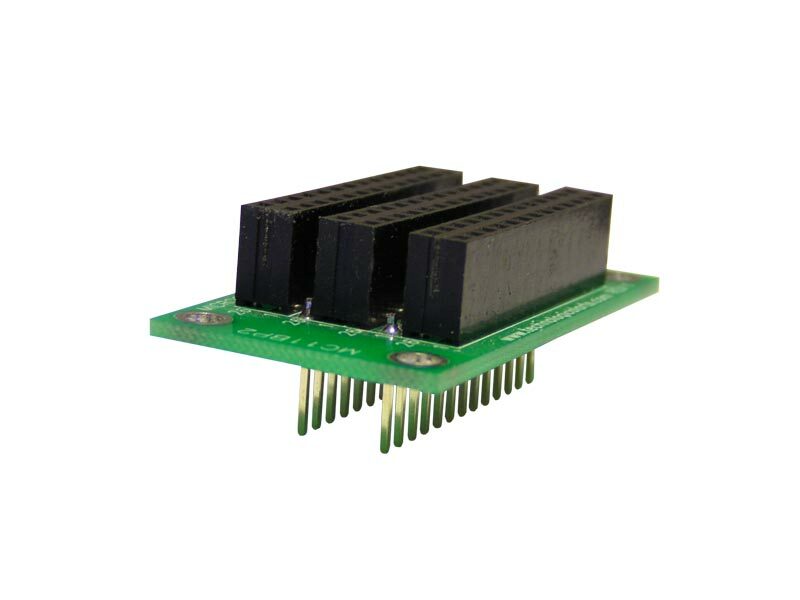 OEM MicroCore-11 module having 32K EEPROM + 32K RAM and RS232 interface, with your choice of I/O connector style. 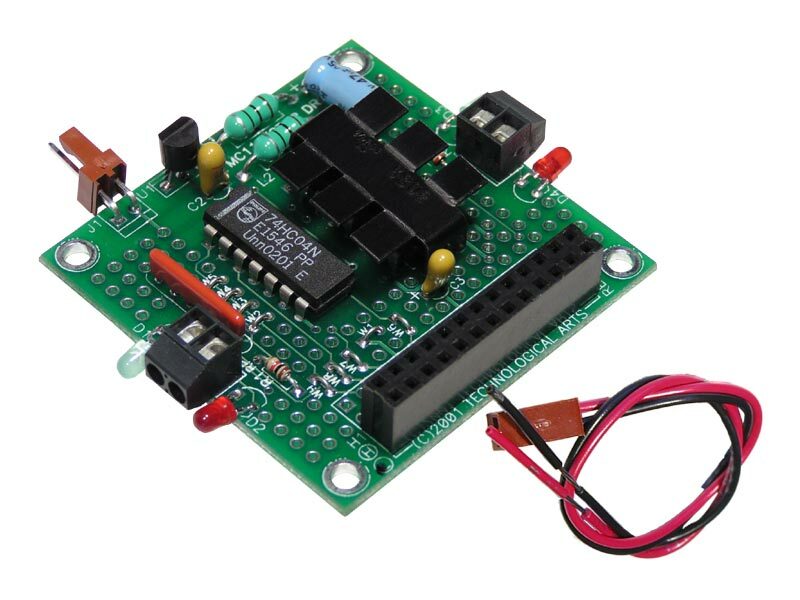 Drive two DC motors or one bipolar stepper motor, at up to 1 Amp per winding. 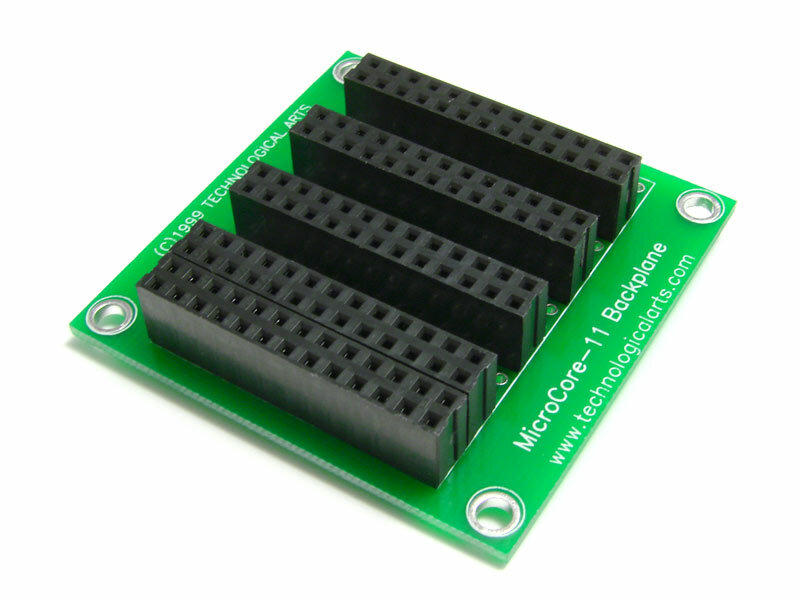 Prototyping card for MicroCore-11 family or general purpose use. Drive four DC motors or two bipolar stepper motors at up to 1 Amp per winding, plus logic MOSFET for relay or solenoid control.